Inside: When your tween yells at you, it’s hard to know what to do and how to respond. But during their tween tantrum and their lack of control during their hormone surge, parents have to do one thing. Ugh. You never listen to me. I won’t do it. You can’t make me. You don’t love me or let me do what I want. And….a piece of me died inside. Where did my sweet little girl go who used to crawl in my lap and profess her undying love for me as she caressed my face? Yesterday I got this tongue lashing from my tween daughter because I asked her and her siblings to turn off the TV and go outside to do something active. And in the moment, it’s hard to know what to do or how to react when your tween yells at you. 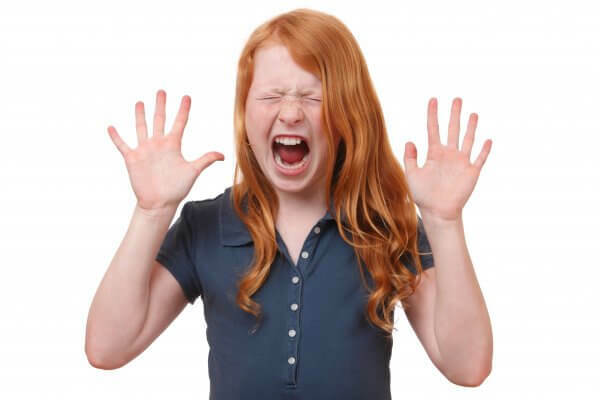 These tween outbursts-which can be likened to toddler tantrums-aren’t often talked about openly. 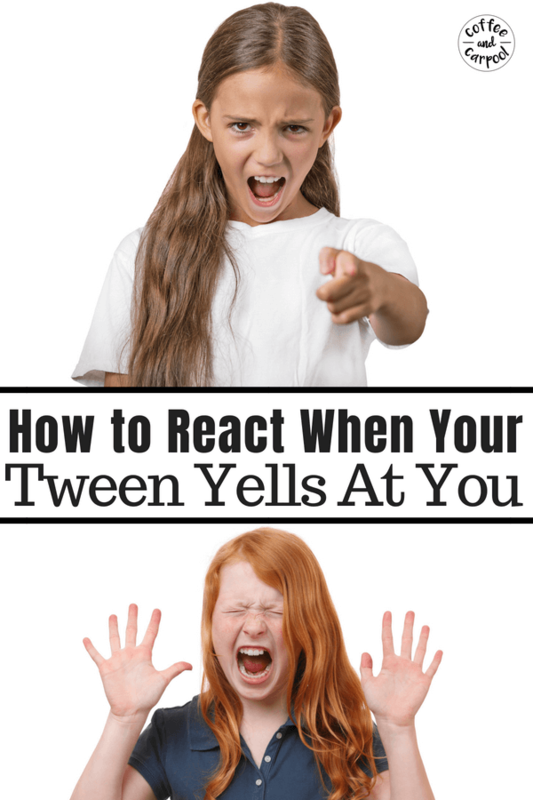 It can be downright embarrassing when a tween yells at you, lashes out at you, or unleashes their hormonal fury. And it’s also infuriating. How dare they talk to us that way??? Our tween children know better. And we’re right. They do know better. But not when they’re experiencing a hormone surge. 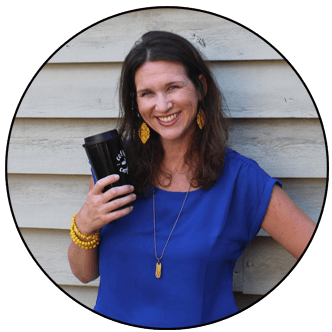 When they’re in the middle of their own personal little hormonal hurricane, when they are so out of control they yell things like “You don’t love you me,” and “You never let me…,” and the dreaded “I hate you,” our kids literally don’t know better. Because they are not in control of themselves in that moment. They’re having an out of body experience they can’t explain, understand, or even stop. So we have to ride it out. Because the hormone surge will end. They will calm down. Eventually. And the rush of hormones will subside and we’ll get our kid back. And that’s when we can dive in and parent in a way they’ll be able to listen and really hear us. But in the moment? When the surge of hormones hit and the dramatic response exponentially increases to an insane level? It would almost be comical if an 11-year-old wasn’t yelling at you in a public place. So there’s only one thing to do to de-escalate the situation. As my daughter’s intensity rises, I decrease my intensity. The more ramped up my daughter gets, the calmer I get. And it takes all of my self-control. But staying calm when my daughter rages is essential to ending the tween tantrum quicker. I have to be the one to take the emotion out of it. So I try to not feel the sting of her words. And I remind myself she’s not in control right now and couldn’t stop even if she wanted to. All said with no intensity. No anger. No emotion. It may seem counterintuitive to “let them get away” with this behavior of yelling at us. 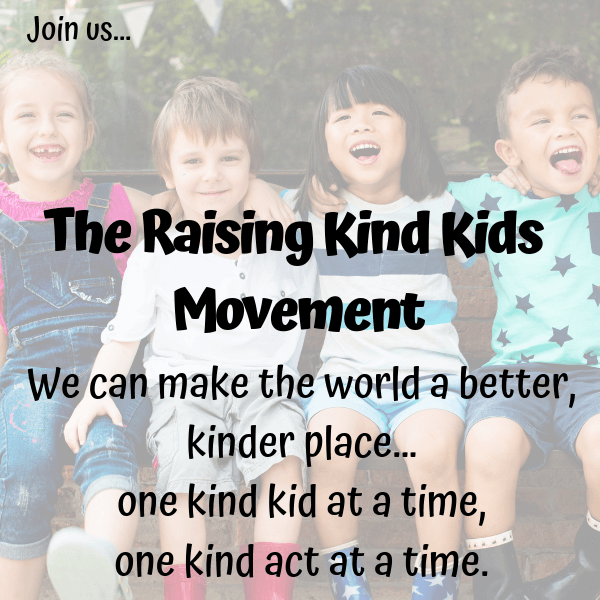 I’m purposefully raising kind kids and this behavior isn’t kind. So it’s natural to want to react and respond to their sassy behavior-their hair flips, eye rolls, and door slams- by putting our foot down. But if we can stop and give our kids the space they and their hormones need to explode while we stay calm, the incident will be over quicker. Because when we follow them down the rabbit hole into crazy town, no one wins. Voices get louder, threats are made, and it can be hard to repair our relationship and reconnect when it’s over. So it is essential we remember to be the calm. 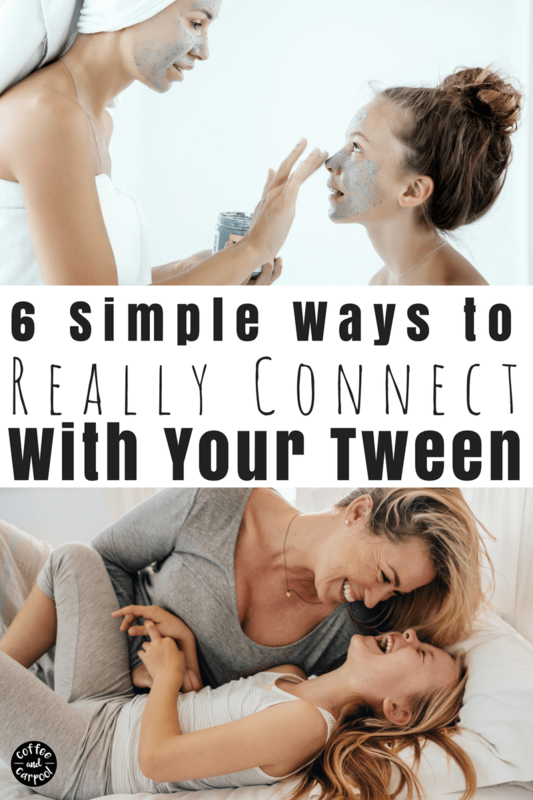 When we remember to stay calm during our tween’s chaos, we’ll all come out of the hormone years without scars or permanently damaging our relationship. Even if the “I hate you” comments are thrown at us. 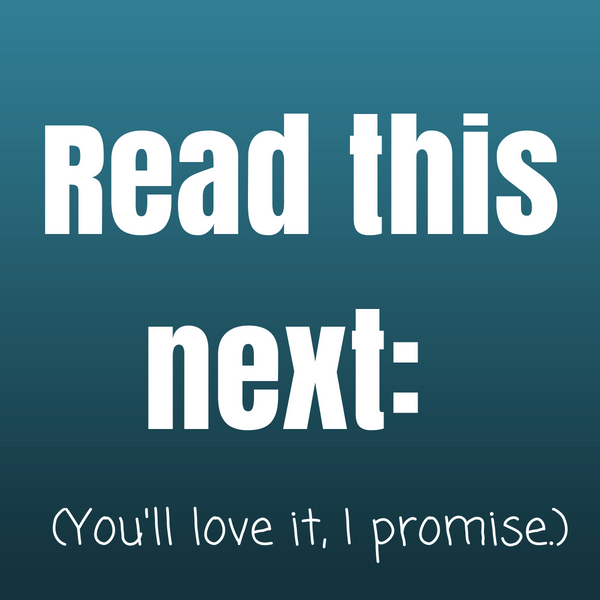 Even if we’re irritated, frustrated or embarrassed on the inside. As calmly as we can be. And then we’ll go pour ourselves a drink. I will have to remember this tip. And try to stay calm.